The 2018 Tampa Bay Labor Day Tournament will be played at the Premier Sports Campus in Lakewood Ranch, Florida, with all games played at one facility. Premier Sports Campus is a full-time sports complex and boasts of 28+ professional size fields, all with Celebration Turf (120x75) and over 40 acres of parking, plus over the last couple of years, the developers of this beautiful complex have continued to invest in lights on 10 fields; increased number of lanes at the fields entrance and exit; and added drainage to parking areas making the tournament experience at these fields wonderful. The Premier Sports Campus is just minutes from restaurants, hotels, entertainment, and the beautiful beaches of Sarasota and Manatee! Note: Early registration deadline of Friday, August 3 has been extended to Monday, August 13 to allow clubs additional time to prepare rosters, player cards, and deal with administrative matters prior to starting the new soccer season. Group Play is played Saturday & Sunday with Finals on Monday. The Tampa Bay Labor Day Tournament is a proud to partner with HBC Event Travel Services, a travel/booking agency with a nationwide reputation for excellence in managing travel and hotels for sports events. HBC Event Travel Services provides an easy way for teams to book hotel rooms with our partnered hotels at the best possible rates. The hotel rates are either the same or lower than the standard published rate and usually includes breakfast. HBC Event Travel Services guarantees that if the tournament is canceled due to weather, teams will not be charged for any cancellation penalties than a team may otherwise have been subject to if you made your reservation elsewhere. This guarantee does not include hotel reservations made after the hotel cut off dates. HBC provides teams with excellent service and booking assistance to ensure for an enjoyable stay in Lakewood Ranch, Bradenton and Sarasota and participation in the Tampa Bay Labor Day Tournament. This is a STAY-TO-PLAY tournament. All non-commuting teams (out of the area) participating in the tournament MUST (as a condition of acceptance) make all hotel accommodation booking through HBC Event Travel Services. To ensure proper booking and coordination do not call the hotels directly. Please call HBC Event Travel Services at 505-346-0522 with any questions, to secure a block of rooms, and/or if your team has any special hotel requests. Download the official Tampa Bay Labor Day Tournament APP for Schedules, Results & More! 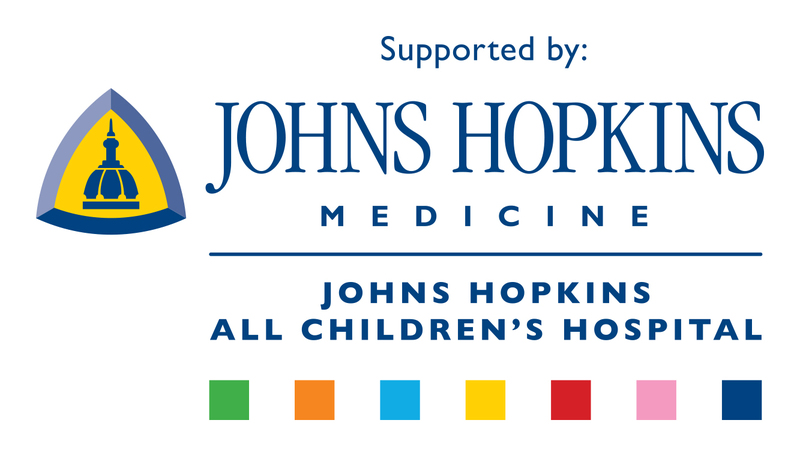 The AllSports Medicine program at Johns Hopkins All Children’s Hospital is a tournament partner of the Tampa Bay Labor Day Tournament and is providing the medical and trainer staff for the weekend. For pre-game tapings, please look for the medical tents. If medical assistance is needed for an injury please notify the closest quad tent. AllSports Medicine is a comprehensive center for pediatric and adolescent sports medicine and is the only sports medicine program in the Tampa Bay area focused solely on the care of young athletes. Our pediatric specialty services, including orthopedics, emergency medicine, radiology, neurosurgery, nutrition, cardiology and sports rehab, are available to patients as needed, according to the type of injury and the specific needs of each patient. Interested in Being a Tournament Vendor?